Are bikes slowly taking over the streets of New York? Extra Citi Bikes are being rolled out ahead of the L Train shutdown, ride-hailing company Lyft has acquired Motivate and its bike sharing company Citi Bike, and now the New York City Department of Transportation (NYC DOT) revealed further details for their dockless bike-share pilot. Following a request for expressions of interest (RFEI) from the DOT last year, 12 companies vied for the opportunity to pilot a dockless bike-share program in the city. DOT announced earlier this week that Lime, JUMP, ofo, Pace, and Motivate have been chosen to roll the program out. 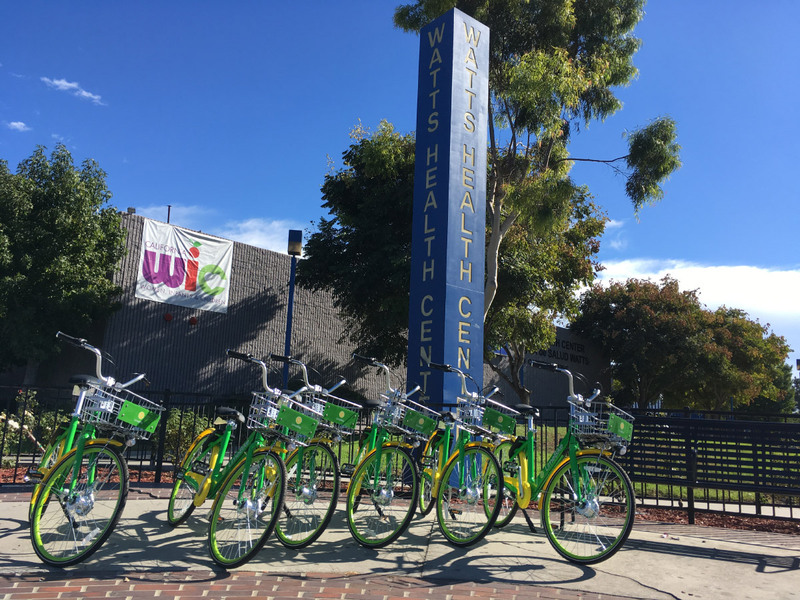 Bikes from those companies will be supplemented in each community by pedal-assist models capable of reaching 20-miles-per-hour courtesy of either JUMP or Lime. The first bikes are expected to arrive from PAce and Lime in mid-July in the Rockaways, Queens, followed by bikes from JUMP, ofo, and Lime in central Bronx and Staten Island later in July. Coney Island will also receive bikes from Motivate later this year, timed to avoid the worst of the summer crowds and construction concerns. The areas chosen for the pilot are out of Citi Bike’s current reach, and each neighborhood will receive at least 200 bikes. As the name suggests, dockless bike-sharing does not require a permanent docking station for bikers to return their rentals to. Instead, riders use an app to find and unlock a bike nearby; once the ride is finished, the rider leaves the bike on a sidewalk, and a fee is charged according to the amount of time spent riding. While each company has a different pricing structure, the DOT estimates that a 30-minute ride will only cost $2. Misplacement of the bikes—and having streets end up as 'bike graveyard' where abandoned bikes litter streets—is a concern that other cities are grappling with. Other regulatory issues surrounding ridesharing and similar transportation alternatives have plagued cities, from Uber to autonomous vehicles to e-scooters. However, it appears that concerns will be assessed during the pilot, as the DOT will “carefully evaluate companies’ compliance with requirements around data accessibility and user privacy” as well as look at the “safety, availability and durability” of the bikes themselves. The DOT’s announcement comes at a time when ride-hailing companies are changing the transportation landscape. In an interview earlier this year, Uber’s CEO Dara Khosrowshahi claimed that he wanted Uber to be the “Amazon of transportation,” expanding the range of first-and-last mile solutions. Two of these dockless bike share companies are now owned by major ride-hailing companies—JUMP is owned by Uber and more recently, Motivate (parent company to CitiBike) was bought by Lyft. It’s unclear how dockless bike share will fit within New York’s transportation system and regulations, but DOT will be evaluating the sustainability of the dockless program before moving forward with a permanent program. The sculpture studio facility for the University of Arkansas, a design collaboration between Modus Studio and El Dorado Inc., is the first completed building for a new remote arts and design district for their campus. The project expands an existing pre-engineered metal building warehouse, through selective renovation and addition, into a simple, refined form. It provides natural daylight for studios inside and draws a connection to the context through the interplay of translucent and opaque materials. Architects Modus Studio, El Dorado Inc. The design teams at Modus Studio and El Dorado decided to keep the existing building structure and continue the original detailing. The building was stripped down to the bones and the same pre-engineered metal building profile was used to create the new addition. The project more than doubles the existing footprint of the pre-engineered warehouse on the east and, with exterior porches of structural steel on either side that allowed for a layer of customization within the otherwise standardized facade system. The material palette consists primarily of the same short-ribbed aluminum panel with variations in color and opacity. 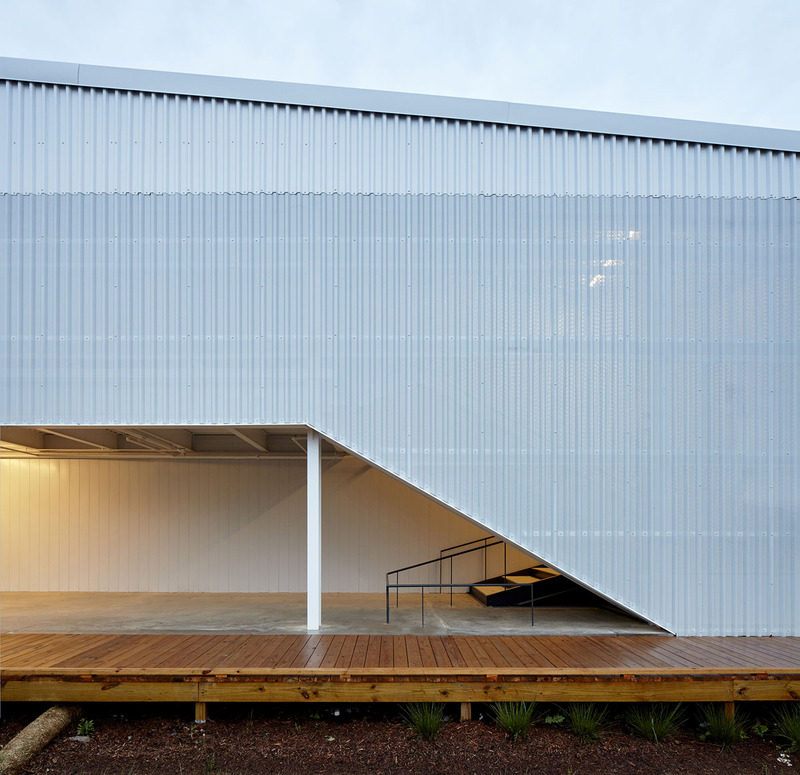 The majority of the structure is clad in solid aluminum panels with a white Kynar finish. The same panel, with a twenty-three-percent perforation, is applied at either end of the building to denote the two exterior porches. These open-air bays needed to be shaded while allowing light in the flexible spaces on the perimeter of the building. They provide a visual connection with the surrounding context and allow people to see in while passing on the street or nearby trail. Additionally, flat aluminum panels are used as a backdrop for the perforated facade at the exterior porches. The building continues the conversation of opacity and translucency into the design and detailing of the windows. Constructed with an aluminum frame, the windows use a translucent polycarbonate to filter light. The purpose of the polycarbonate is to wash the interior spaces with consistent daylight during the day and project interior light towards the exterior at night. The windows are not a part of the pre-engineered assembly and had to be detailed in a different way. The project team saw this as an opportunity to celebrate this connection and positioned the windows at the columns of the main structural frames. From the interior, this exposes the detailing of the pre-engineered system rather than hiding it. The moments where the materials meet each other were of particular significance to the design teams at Modus Studio and El Dorado. This can be seen in the way that the trim is treated around the entire building. The architects wanted the trim to always be made of the adjacent material, so that the wrapping of material continued on all surfaces without interruption. Additionally, the downspouts were located at panel joints to hide the small shadow line and continue the wrapping of the facade. Jody Verser, the project manager at Modus Studio, told AN in an interview, “In one particular area, on the northwest side of the building in the foundry, we had a concrete wall, an elevated concrete floor, a concrete slab on grade, structural steel, pre-engineered metal building frame, perforated panel, opaque panel, and a corner downspout, everything coming together at one spot.” It was a game of coordination between both project teams and the contractors to arrive at the right solution and continue that logic throughout the project. 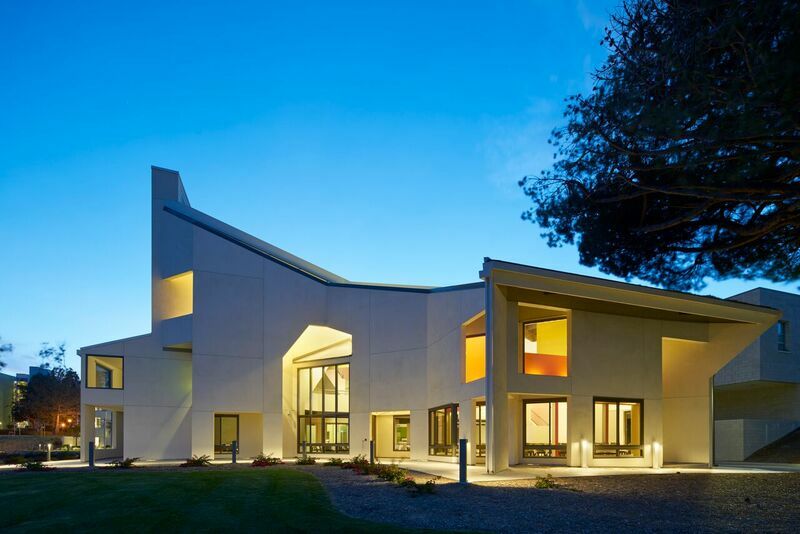 Fresh on the heels of design/build company Katerra’s acquisition of timber-oriented West Coast firm Michael Green Architecture (MGA) less than two weeks ago, the $3 billion construction company has now added the Atlanta-based Lord Aeck Sargent (LAS) to its impressive portfolio. The additions of MGA and LAS, a studio founded in 1989 that offers a full suite of landscape architecture, interior design, architecture, and urban planning services with an emphasis on sustainability, has doubled Katerra’s design staff. The move is a prudent one for Katerra as it expands its architecture licenses to 31 states, along with British Columbia and Alberta in Canada. LAS has experience working in nearly every type of project, from academic to mixed-use to multi-family housing; as Katerra expands the types of modular, kit-of-parts buildings it offers (and with $1.3 billion in projects already under development), this expertise will likely help production move along more smoothly. 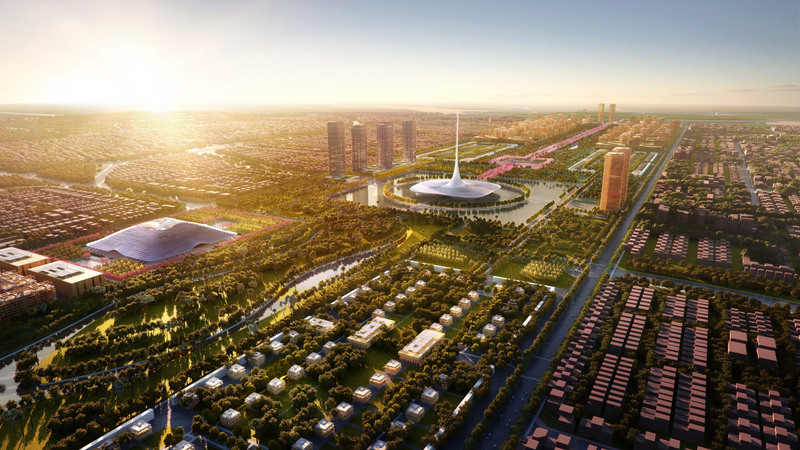 Interestingly enough, LAS is the second advisory firm from Katerra's design consortium, formed in 2017, to be purchased by the technology company. It remains to be seen if Katerra will also try to acquire Lake|Flato or Leers Weinzapfel Associates in the future. The Los Angeles Design Festival (LADF) returns to L.A. this weekend, offering up a wide-ranging slate of art- and design-focused events that aim to highlight the city’s growing design scene. We’ve put together a few highlights for the weekend below. Though the festivities actually kicked off last night at the official opening party, things get serious today, with a bevy of installations and receptions opening to the public Friday and on through the weekend. 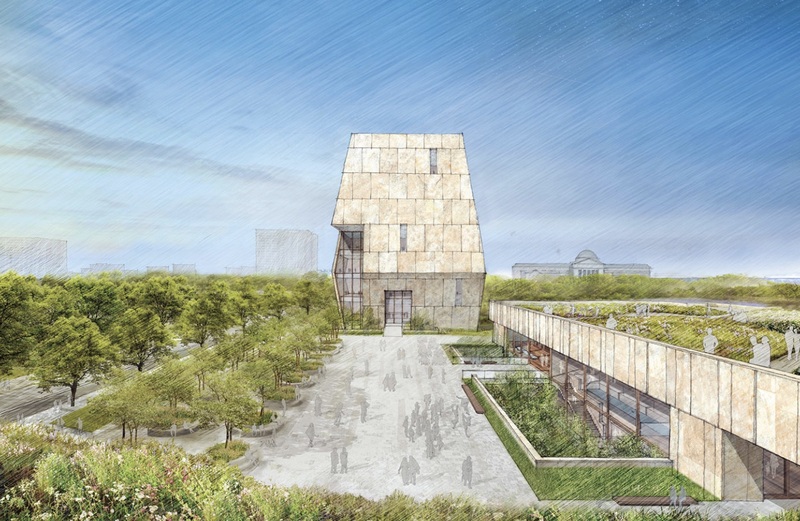 Highlighting the day’s events will be a keynote address by Los Angeles Chief Design Officer and former Los Angeles Times architecture critic Christopher Hawthorne. The keynote presentation will feature a discussion focused on housing in Los Angeles between Hawthorne, Barbara Bestor of Bestor Architecture, Julie Eizenberg of Koning Eizenberg Architects, and Jimenez Lai of Bureau Spectacular. 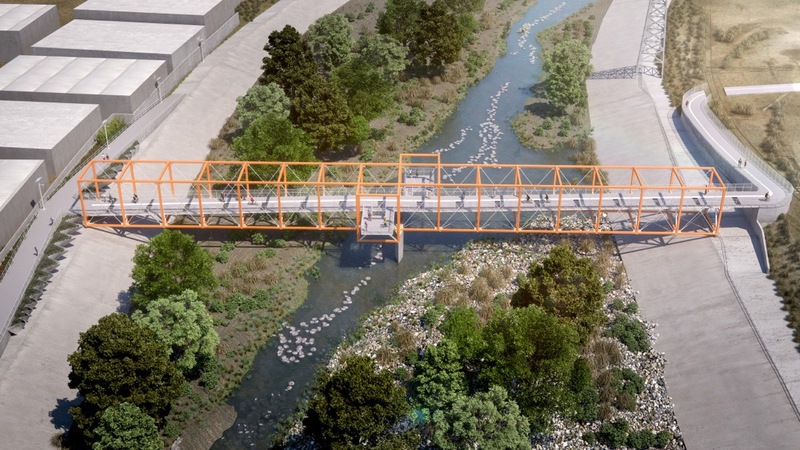 This evening, Antonio Pacheco, AN’s west editor, will be moderating a panel discussion at SPF:a Gallery titled “How I Learned to Stop Worrying and Love the L.A. River” that will focus on whether L.A. can avoid the dreaded “High Line Effect” as it revitalizes and restores the Los Angeles River. The discussion will feature panelists Deborah Weintraub, Chief Deputy City Engineer, and Chief Architect for the City of Los Angeles; Mia Lehrer, president and founder of Studio-MLA; Helen Leung, co-executive director, LA-Más; Mark Motonaga, partner at Rios Clementi Hale Studios; and Yuval Bar-Zemer, co-founder, managing partner at Linear City Development LLC. Saturday, the INTRO/LA modern furniture exhibition opens in the Row DTLA complex in Downtown Los Angeles. The annual exhibition will highlight the work of Another Human, Block Shop, Estudio Persona, Massproductions, and Waka Waka, among many others. Saturday will also feature a special pop-up show featuring the work of L.A.-based offices Feral Office and Spatial Affairs. The exhibition will highlight the collaborative work of Berenika Boberska (Feral Office) and Peter Culley (Spatial Affairs) who have come together for a joint project titled “New Walled Cities and Hinterlands,” an exploration of Los Angeles’s particular urban forms as they relate to clustered densities and single-family neighborhoods. Sunday will see another panel discussion—also at SPF:a Gallery—this one led by Steven Sharp, founder and editor-in-chief of Urbanize.LA, who will preside over a conversation titled “The Tech Frontier: The Rise of 'Silicon Beach'” that will address the socio-economic implications Silicon Beach could have over the long term as moneyed tech workers settle in Los Angeles. The panel will include Marc Huffman, vice president of planning & entitlements, Brookfield Residential; Michael Manville, assistant professor of urban planning at the UCLA Luskin School of Public Affairs; Li Wen, design director and Principal at Gensler; and Russell Fortmeyer, associate principal for sustainability, ARUP. The last day of the festival will showcase a “a critical round-table discussion” called “The Morning After” covering the DOPIUM.LA [ D / M E N S / O N S ] exhibition and event at the A+D Museum taking place the night before. The discussion will feature contributions from curators, designers, and artists involved with DOPIUM.LA, as well as a conversation centered on the notion of temporality and impermanence in the production and exhibition of works of design and art, including how those efforts contribute to material reality. The afternoon will also feature a conversation between Andrew Holder and Benjamin Freyinger of the Los Angeles Design Group hosted by THIS X THAT, Hem, and Poketo. See the LADF website for more information and a full slate of calendar events. When the Moore, Lyndon, Turnbull, and Whitaker Architects-designed University of California, Santa Barbara (UCSB) Faculty Club opened in 1968, architectural historian and critic David Gebhard wrote in Forum that the complex was “theatrical (like Hollywood) and planned, even though on the surface everything appears haphazard and disjoined.” The compliment applies in opposite to the recently-completed $11.25 million renovation, restoration, and expansion to the complex by Charles Moore’s successor firm Moore Ruble Yudell (MRY), where a series of rationally-organized dining facilities, hotel accommodations, and administrative offices conceal nuanced and rich architectural detail. The complex was originally designed as an homage to the era’s Pop Architecture phenomenon that blended Spanish Colonial Revival stylings with a 1960s penchant for dumb shacks and postwar vernacular modernism. Though from the outside, the building originally appeared as a stuccoed mass of disjointed shapes, Moore and Turnbull’s original vision was decked out inside with soaring framed archways, criss-crossing mezzanine walks and stairways, and neon signs and symbols decorating its walls. The project’s showpiece, a central, multi-story dining room, contained all of these elements and more, including deep-cut architectural references to other famous works—like a sloped entry reminiscent of Le Corbusier’s Carpenter Center at Harvard—that were amplified and repurposed throughout the UCSB Lagoon-adjacent complex. Today, the expanded club boasts a wholly new 15,760-square-foot wing hosting 34 guest rooms wrapped by perimeter circulation, as well as a renovated and restored central dining hall and a bevy of new sustainability features. Overall, the building has more than doubled in size from 14,595 square feet to over 30,000 square feet today, an effort that has overtaken but not necessarily overshadowed the existing PoMo gem. MRY has taken a gradient-driven approach to the project by restoring the easternmost two-thirds of the original building while also adaptively reusing the remainder of the existing complex and adding the new wing on the building’s west side. The upgraded dining room—dialed down in terms of its furnishings and place settings from the 1960s version, as one might imagine—is more spare than before. Gone are the expanses of wall-to-wall red carpeting, Mid-Century Modern-styled dining chairs, and glass-topped dining tables and their frilly, folded napkin arrangements, which have been replaced with more paired-down and contemporary elements. Many other aspects of the existing building have been retrofitted for contemporary times as well, including the building’s windows, which have been replaced with energy-efficient panes. The complex boasts passive design features that facilitte matural ventilation throughout. Added too are new sensitive lighting designs that allow for task-level lighting control in the hotel rooms, as well as new ambient lighting in the dining areas that compliments the large glass light fixtures already inhabiting the space. Perhaps the most unique elements of the complex come in at ceiling height, where many areas feature drop-down roof rafters that evoke the vigas of the Spanish Revival as well as the slap-dash 2x10 ceiling joists of the Mid-Century vernacular, as well. These elements are complemented in the hotel rooms and in the building’s many shared areas by peculiar ceiling geometries that result from the building’s heaped architectural forms. Everywhere rooms and entire wings explode askew to the structural grid, with massive octagonal arches doing the work of keeping the building standing, as sloping ceilings, pop-out window walls, skylights, and transom openings combine to create delightful ceiling geometries. 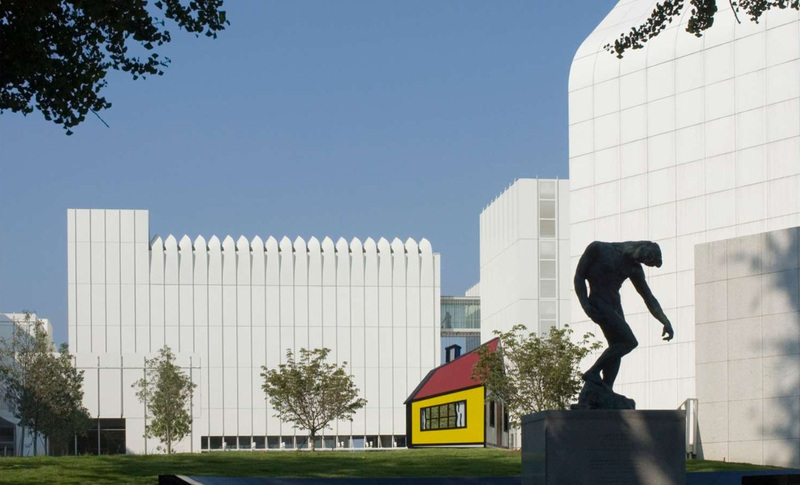 Overall, the architects have proven that it is possible to respect and embrace history—even what might be considered by some today as an over-wrought PoMo relic—while also building for the future. In Santa Barbara, PoMo isn’t “back,” and it’s certainly not dead—It’s been here and will continue to remain. 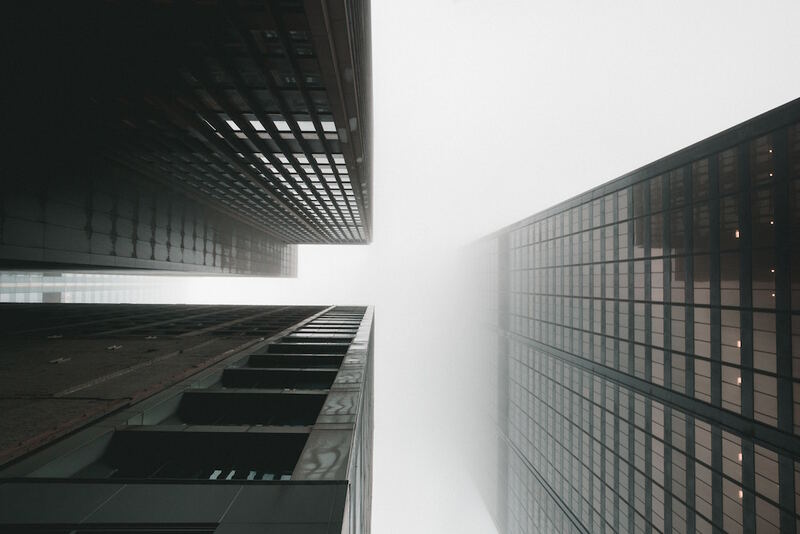 Even the highest performing facades can be undone by gaps or by under-utilizing insulation. Weather and air barriers have expanded to fill a variety of niches, from eco-friendly insulation to ready-to-install sealant. This compression seal is perfect for vertical junctures and joints between the ends of partitions, curtain walls, and glazing. It measures 100 feet in length, reducing multiple splicing, and is made from 100 percent silicone—making it an effective solution for sound/vibration transmission, thermal transfer, and dirt/dust infiltration. Sloped glazing can be difficult to maintain, but this UV-resistant overlay provides superior protection against air and water leakages. Instead of having to completely replace degraded sealant, this gasket system is easy to install, has a high tolerance for temperatures, and can be color-matched. Available in thicknesses of 1 to 6 inches, AFB evo meets all of the same specifications of the original ROCKWOOL AFB, while also conforming to sustainability standards such as LEEDv4. This light-weight batt insulation contains no added formaldehyde and is a great choice for schools and hospitals. A fire-resistant air and vapor barrier applied as a liquid, Air-Bloc includes anti-microbial properties to create a mold-resistant membrane when set. Once cured, Air-Bloc forms a tough, rubber-like barrier without any seams, and can be applied in temperatures as low as 2o℉. 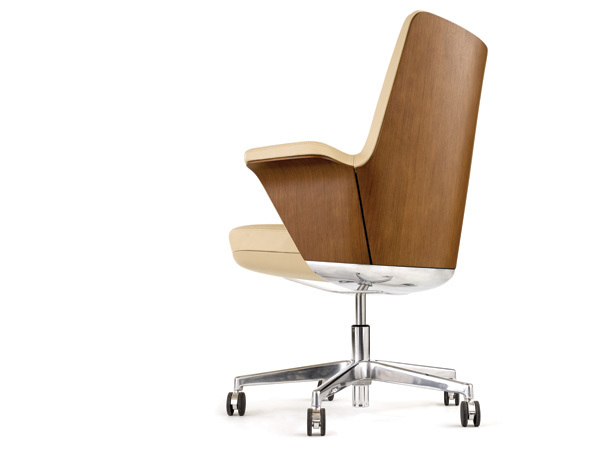 [SPONSORED] Humanscale Coming soon from Humanscale Design Studio: Summa – a new movement in conference seating. 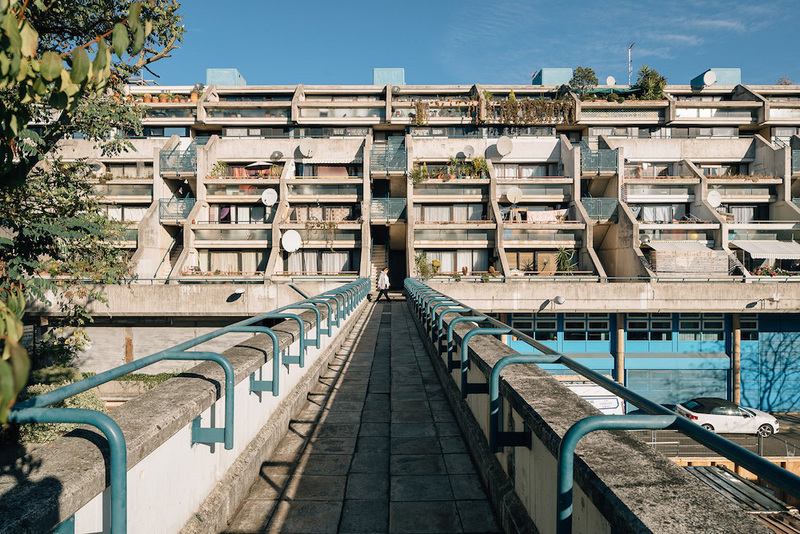 What can architects learn from London’s best social and urban housing projects? This is a promotional post presented by TECH+. The landscape of the architecture, engineering, and construction industries is changing dramatically, and those at the forefront of the transformation know that technological innovation is among the driving forces behind it. 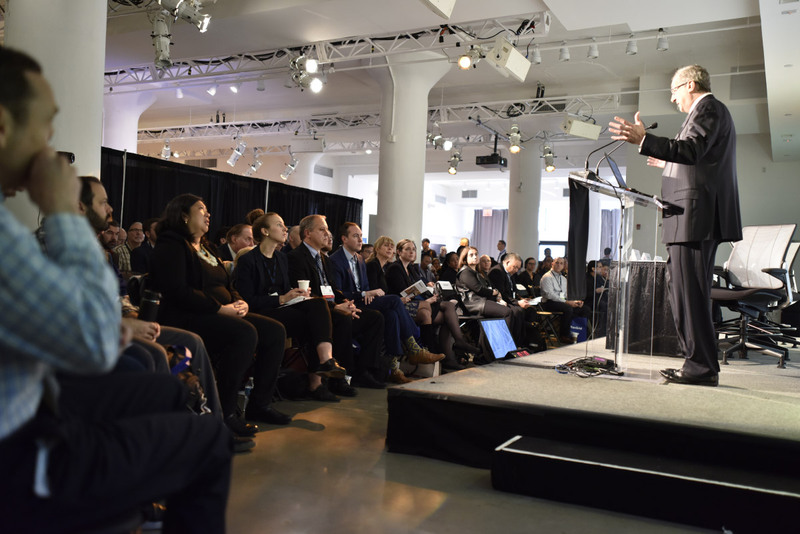 That’s why for the second year, The Architect’s Newspaper presents TECH+, an annual trade conference and expo that explores innovative technologies used in design and construction, taking place May 22 on the heels of NYCxDESIGN. Located at Metropolitan West in Manhattan—the center of one of America’s fastest-growing tech markets—TECH+ will showcase the latest in smart building systems, advanced materials, and innovative products that are reshaping the built environment of today and tomorrow. From cutting-edge virtual reality–aided design tools to mobile apps, parametrics to rapid prototyping and fabrication, this inspiring and forward-thinking event will feature a lineup of visionary speakers, compelling panels, and live product demonstrations from industry-leading developers and start-ups alike. TECH+ will bring together architects, engineers, designers, builders, real estate professionals, investors, entrepreneurs, software developers, students, and makers to inspire new ideas, encourage cross-pollination, stimulate innovation, and establish vital connections. Far from a run-of-the-mill mega-conference, TECH+ consists of a highly curated group of architecture and technology leaders responsible for the strategic direction of their firms. “We are excited to bring back TECH+ to New York City for the second time,” said Diana Darling, publisher of The Architect’s Newspaper. “This year features two stages with industry leaders and innovative disrupters primed to change the way we do business.” This year’s keynote speaker is Dennis Shelden, director of Digital Building Laboratory at the Georgia Institute of Technology, who led the development of architect Frank Gehry’s digital practice as director of R&D and director of computing prior to cofounding Gehry Technologies in 2002. Presented by Microsol Resources, the keynote will take place at the TechPerspectives main stage, from which four additional panels will explore topics including BIM, collaboration, sustainability, and visualization. Also, new to TECH+ is a series of Lightning Talks throughout the day from leading exhibitors and cutting-edge start-ups located on the expo floor stage. Panel discussions include Jonatan Schumacher, director of CORE studio at Thornton Tomasetti, and Jan Leenknegt, architect and BIM manager at BIG, who will examine how to connect design and data through the project life cycle; Paul Kassabian, associate principal at Simpson Gumpertz & Heger, and Steve Jones, senior director at Dodge Data & Analytics, will address unifying project teams and technology; Ian Molloy, senior product manager at Autodesk, Alexandra Pollock, director of design technology at FXCollaborative, and Christopher Mackey, building scientist at Payette, will discuss designing for energy efficiency; and Iffat Mai, practice application development leader at Perkins+Will, Christopher Mayer, executive vice president and chief innovation officer at Suffolk Construction, and Christopher Connock, design computation director at KieranTimberlake, will explore enhanced realities and immersive experiences. “TECH+ is a new type of conference,” said Darling. “We’re focusing on completely new ideas and techniques, and gauging where the future of the AEC will be and how we get there.” Below are some of the exhibitors who will be at this year’s TECH+ conference: Founded in New York City in 1898 as National Blueprint Inc., BluEdge has evolved into an industry leader in print and technology services for the AEC industry and beyond. BluEdge is widely recognized for its unmatched customer service, and expertise in 3-D technologies, creative graphics, managed print services, and document management solutions. Today, its service footprint extends across the U.S., Canada, and Europe. Cove.tool is the first commercial software for optimizing cost and energy. 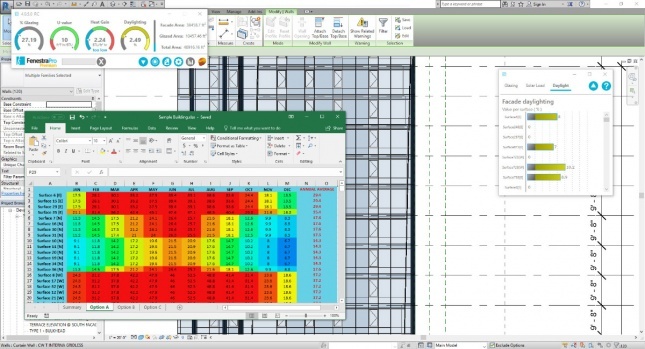 The tool provides automated guidance to save up to 3 percent off the cost of construction while increasing performance of the building by up to 40 percent. 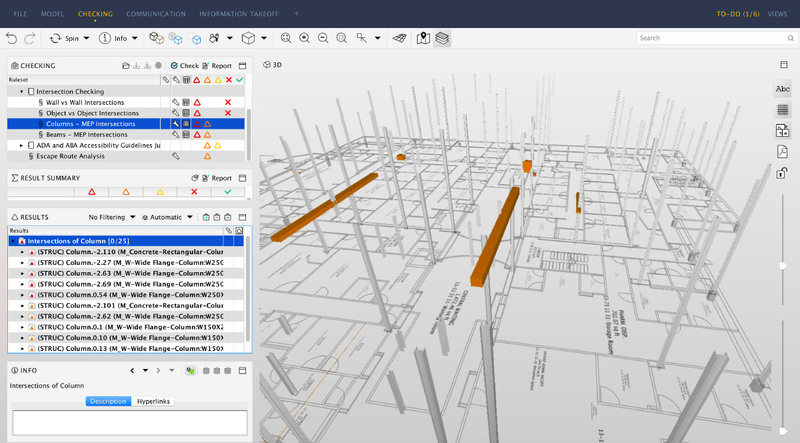 The cloud-based tool helps architects, engineers, contractors, and building owners make better selections of building technologies by running thousands of parallel energy simulations. Developed by architects, building science experts, engineers, and sustainability consultants, the tool is integrated into the design process with plug-ins to Revit and Rhino for interoperability and parametric design. Adoption of cove.tool could dramatically reduce carbon emissions worldwide while helping owners reduce the cost of their buildings. FenestraPro Premium for Revit is an intuitive and easy-to-use add-in that enables architects to design energy-efficient building facades to comply with building regulations and required performance, without compromising the aesthetic of the facade. 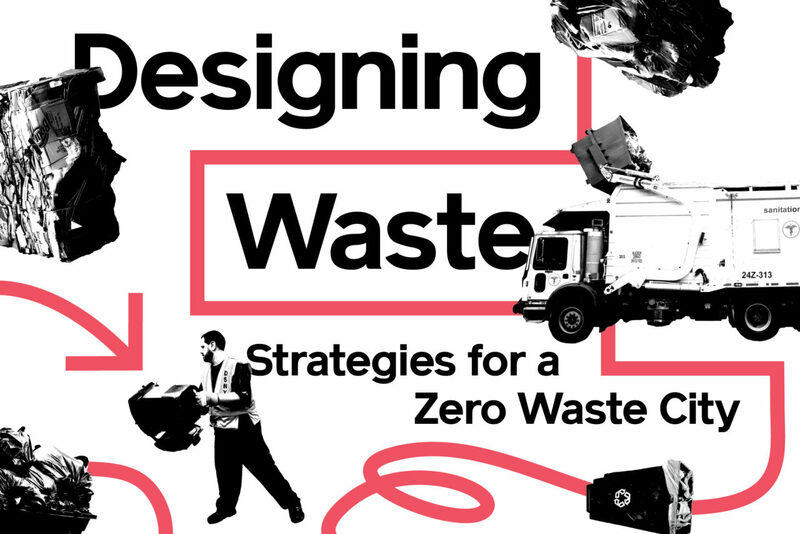 It integrates building design with performance, allows the architect to maintain control of the aesthetic of the building, and improves the design process by eliminating costly late-stage redesign fees. GRAPHISOFT® ignited the BIM revolution in 1984 with ARCHICAD®, the industry’s first BIM software for architects. GRAPHISOFT continues to lead the industry with innovative solutions such as its revolutionary BIMcloud®, the world’s first real-time BIM collaboration environment; EcoDesigner™, the world’s first fully BIM-integrated green design solution; and BIMx®, the world’s leading mobile app for BIM visualization. GRAPHISOFT is part of the Nemetschek Group. 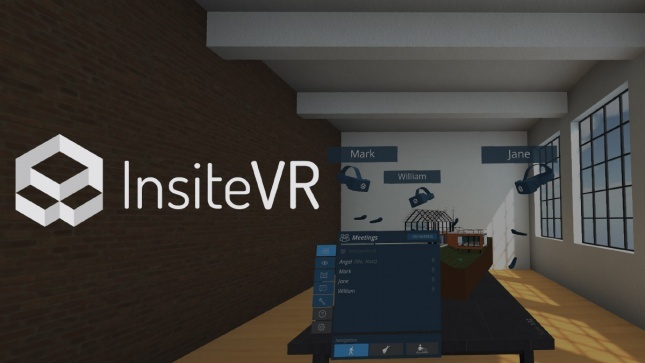 InsiteVR is a platform for AEC companies to create and manage virtual reality presentations across their offices. 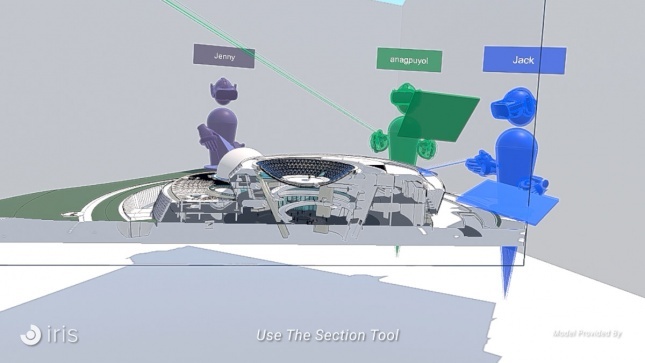 InsiteVR’s tools allow users to remotely control VR presentations, collect feedback from clients, and easily share to mobile headsets like the GearVR. 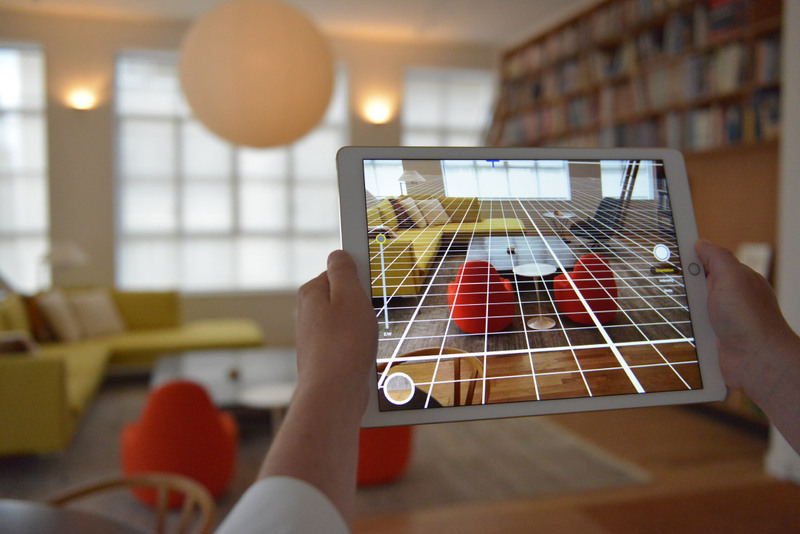 IrisVR tackles the biggest problem in the architecture, construction, and engineering industries: What will a space actually look and feel like when it’s built? Iris created intuitive, user-friendly software that empowers virtual reality to experience depth and scale. 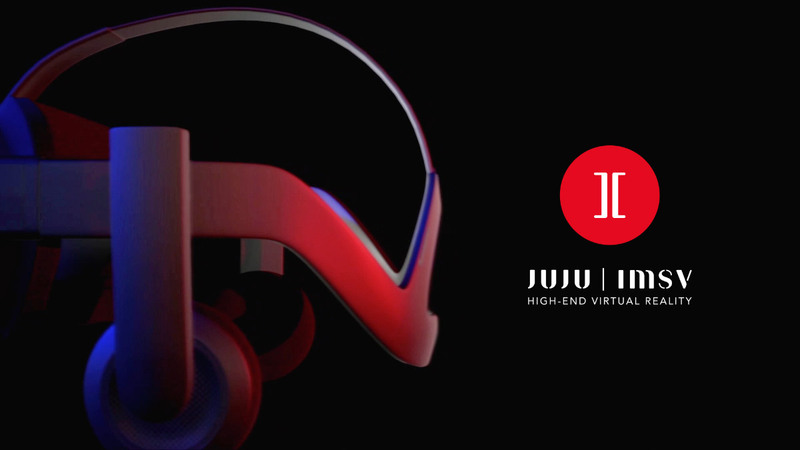 JUJU IMSV employs the most advanced VR technology to create convincing, elegant, and easy-to-use marketing tools for off-plan sales across the globe. Our all-in-one marketing tools tell the story of the future property and not only help to efficiently raise money for the project, but also streamline the sales cycle. 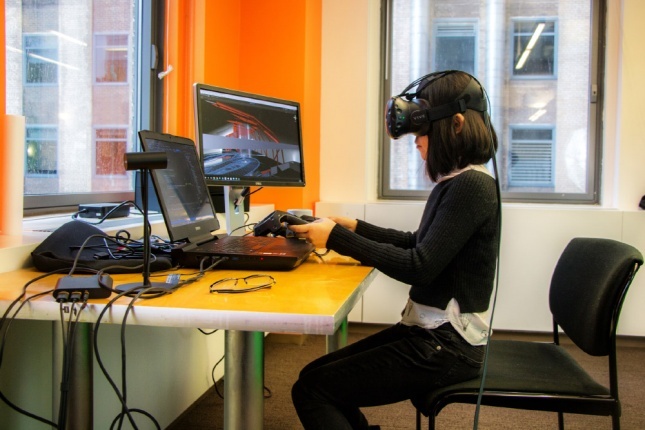 LERA IMMERSE is a virtual reality and augmented reality consulting service offering solutions to architects, owners, developers and construction managers. The custom-designed systems and tools enable users to navigate, interact with, and collaborate in the VR space, all while collecting valuable data that can be retrieved, analyzed, and fed back into the design process. Microsol Resources has been delivering integrated solutions to the architecture, engineering, and construction industries for over 30 years. The company is a recognized leader in BIM and CAD-based solutions, as well as an Autodesk Platinum Partner. Besides CAD & BIM software, Microsol also provides training, consulting, staffing, 3-D printing, and data management services to help customers gain a competitive advantage and improve their overall productivity. Morpholio makes apps that put designers first, fusing the fluidity and speed of hand drawing with the intelligence and precision of mobile and CAD technology. Its Trace app for architects is the unique software created to take design through every phase of the process, from concept to reality. 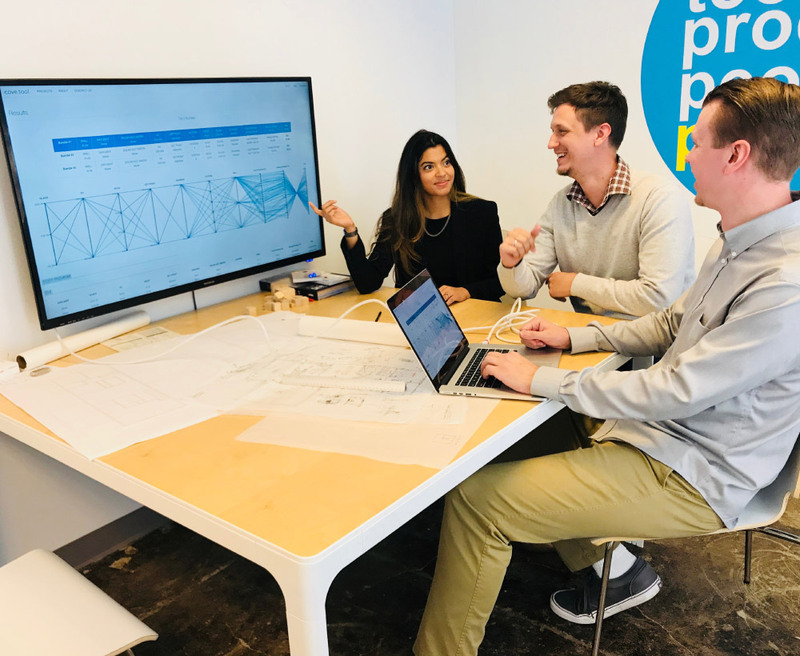 PlanGrid is construction software made for the field that allows plans and markups to be instantaneously shared with everyone on a construction project—no matter where they are. 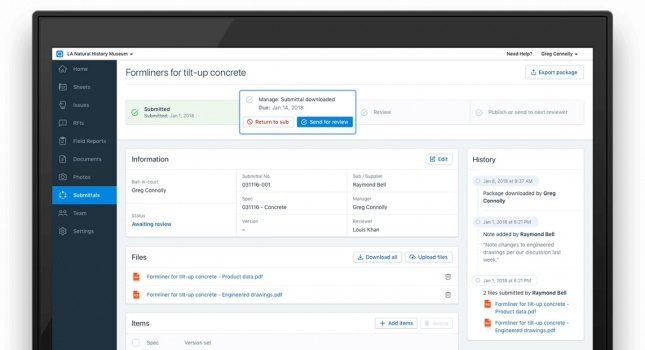 It lets contractors, architects, and building owners collaborate from their desktop or mobile devices across all of their project plans, specs, photos, RFIs, and punch lists. Solibri is the leader in BIM quality assurance and quality control, providing out-of-the-box tools for BIM validation, compliance control, design process coordination, design review, analysis, and code checking. Solibri develops and markets quality assurance solutions that improve BIM-based design and make the entire design and construction process more productive and cost-effective. On Wednesday May 9, the California Energy Commission will vote on whether or not to require solar panels on new homes. The standard is expected to pass and would apply to all single and multi-family homes up to three stories tall as of January 2020. Exceptions will be made for shaded structures or in situations where it is impractical to install panels and offsets can be used for other solutions, such as re-charging batteries like Tesla’s Powerwall. Homes will not have to reach net-zero status (that is, relying completely on the solar panels for all energy), but is still expected to San Francisco already requires solar panels on all new buildings under 10 stories tall—statewide about 15 to 20 percent of new single family homes rely on solar energy. As California is the world’s fifth largest economy, the massive sales-boost that would result in this measure should not only lower the cost of solar panels in the state, but across the U.S. Installing solar panels will make it approximately $25,000 to $30,000 more expensive to build homes than those built under the 2006 code. However, homeowners are expected to save $50,000 to $60,000 over 25 years. While some have pointed out that this could make California’s housing shortage situation even more dire by raising housing costs, the energy–saving benefits (and California’s increasingly wealthy population) may outnumber the naysayers. This is the most recent of California’s sustainability measures as it continues to push toward a more environmentally friendly future, including filing a lawsuit against the EPA from lowering vehicle emission standards.